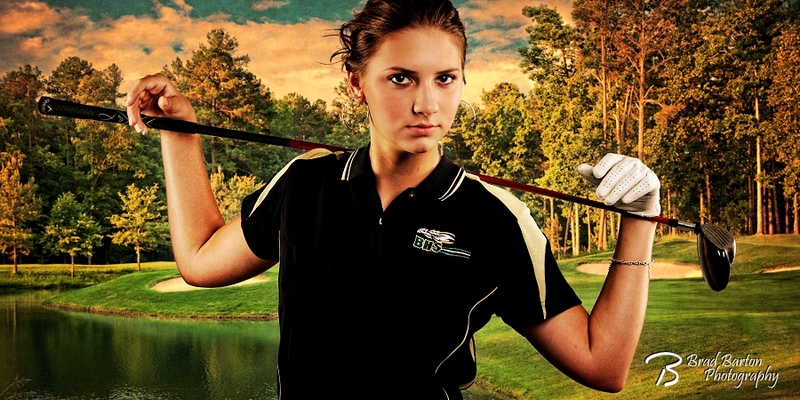 Erin is starting her Sophomore Year at Birdville and her second year with the Golf team there. 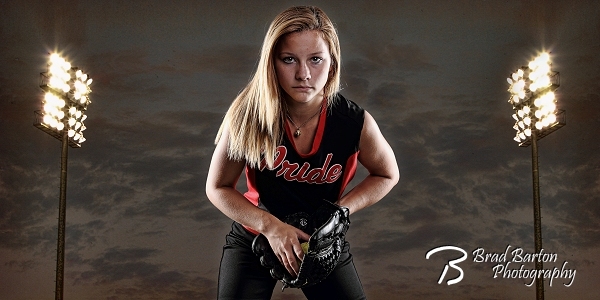 She came into my Grand Prairie studio to get a new portrait done so she’d have pictures to show off. 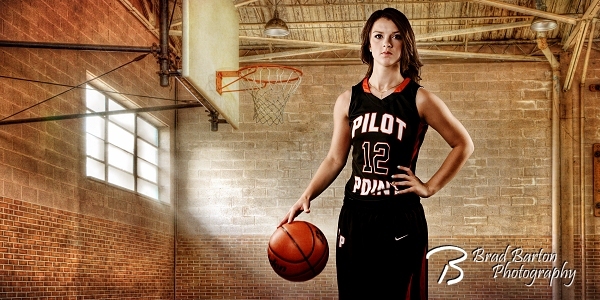 The ever lovely Natalie is about to be a Junior at Pilot Point High School and came in to my Grand Prairie studio to do portraits for some of her sports, including Basketball. I don’t think I’d want to go up against her. Bailey is a star runner at Trinity University in San Antonio and was recently in my Grand Prairie studio to make some images for her modeling portfolio. When I found out she’d brought some of her track gear, of course I jumped at the chance to create something like this for her as well. 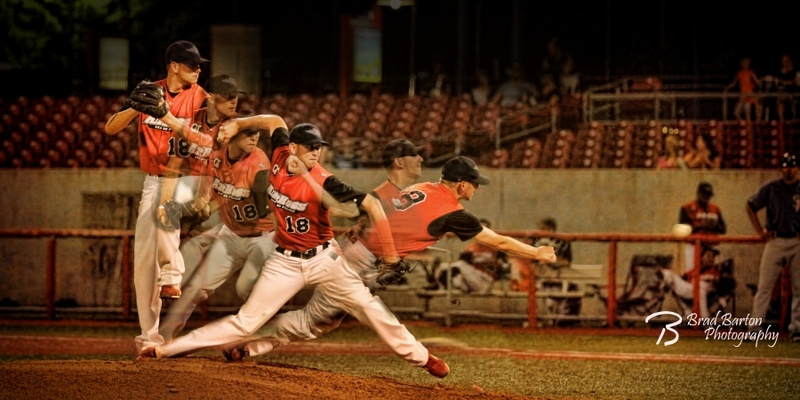 One of my favorite annual things to do is to photograph some of the local teams in Arlington and Grand Prairie. This week, I photographed the South Grand Prairie Chey-Annes Dance Team for the upcoming school year. This is a great group… always fun. 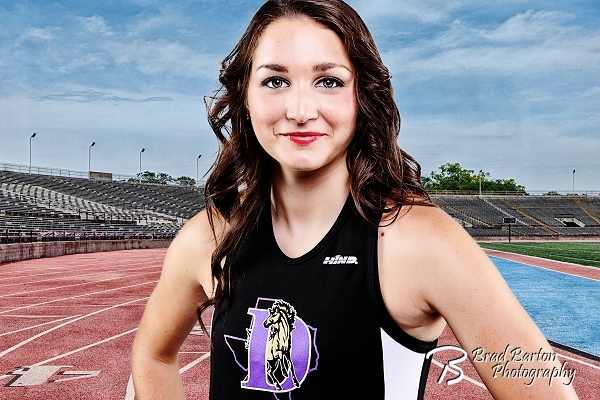 Summer is the perfect time to get that special sports portrait done… and they can be done in my Grand Prairie studio and still look like this. Everyone is a star athlete in my studio. 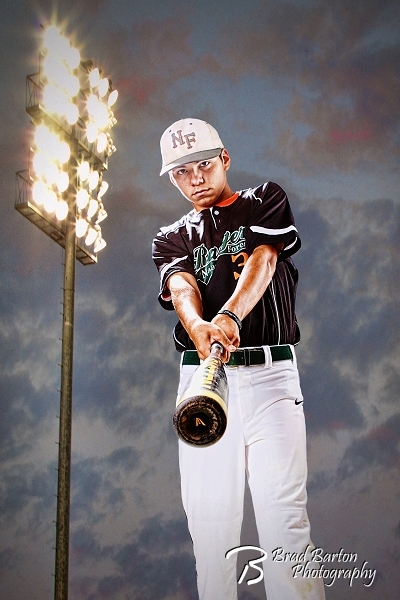 Also be sure to ask about having me come out and photograph your entire team and individual portraits. Erin spent the recent school year on the Birdville High School Varsity Golf team – as a freshman – and did better than many of her older teammates. 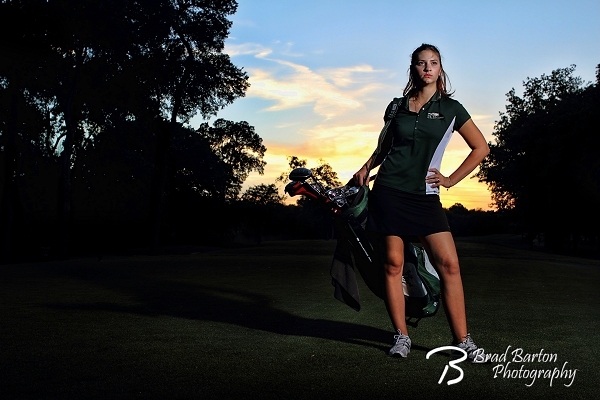 We did this photo session at sunset at Iron Horse Golf Course in Hurst to celebrate her jacket.